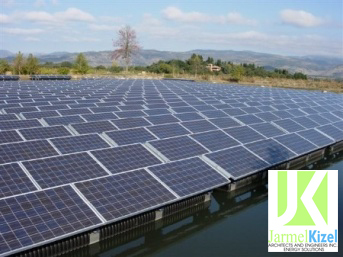 Jarmel Kizel has extensive experience in Sustainable Design Practices with a strong emphasis on energy conservation and alternative power. The firm considers itself an innovator in the “Green” design industry. We maintain an Energy Solutions Studio that focuses on assisting and educating our clients on efficient energy design for new buildings and for renovations to existing construction. Approximately 50% of our staff is LEED certified who, along with our design professionals, share a passion to foster energy solutions for our clients through green and sustainable design practices. The firm has completed projects that have obtained Sustainable Certifications such as LEED, WELL Buildings and Energy Star. We have assisted our clients in meeting Green Initiatives and by obtaining rebates from utilities providers, Federal, and State Agencies. We have also designed a significant amount of photovoltaic and solar thermal projects for the production of power and hot water. Sustainable design seeks to reduce negative impacts on the environment and the health and comfort of building occupants, thereby improving building performance. Whether a client is seeking a certification or not Jarmel Kizel always guides them to implementing sustainable and green design practices to enhance their building’s performance as well as to preserve our environment. Sustainable Design Practices encourage decisions at each phase of the design process that reduce negative impacts without compromising the bottom line. It is an integrated, holistic approach that positively impacts all phases of design, construction, and operation.